I have some links to share, because new stuff seems to be popping up every time I turn around, right now. This year, Holly Lisle is sponsoring a team for NaNoWriMo. You can find the introductions thread on the Nano Forums here. If you’re already a Holly student, there are also threads on the Holly’s Writing Classes.com Website, https://hollyswritingclasses.com/forum/index.php?threads/nanowrimo-is-live.5856/. And if you aren’t one of her students, she does offer a free flash-fiction course. Sign up here, and you’re into all of the NaNo related forums. Heck, you might like it and turn into a permanent resident. PLUS… This year, Holly is also hosting an online writing room. If you want to be notified of where the room will be, and when sign up for the links at Holly’s blog. 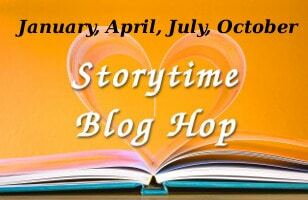 For those of you who missed it, the StoryTime Blog Hop was on the 27th, and my story (And links to everyone else’s) are here. Halloween theme, so a lot of scary stories this time. Other than that, I’m all ready for Nano. I won’t be staying up til midnight to start, but I’ll hit the day early tomorrow.